Former Brisbane television personality Annette Allison joins ATV0 as co-newsreader beside Bruce Mansfield on a revamped Eyewitness News. 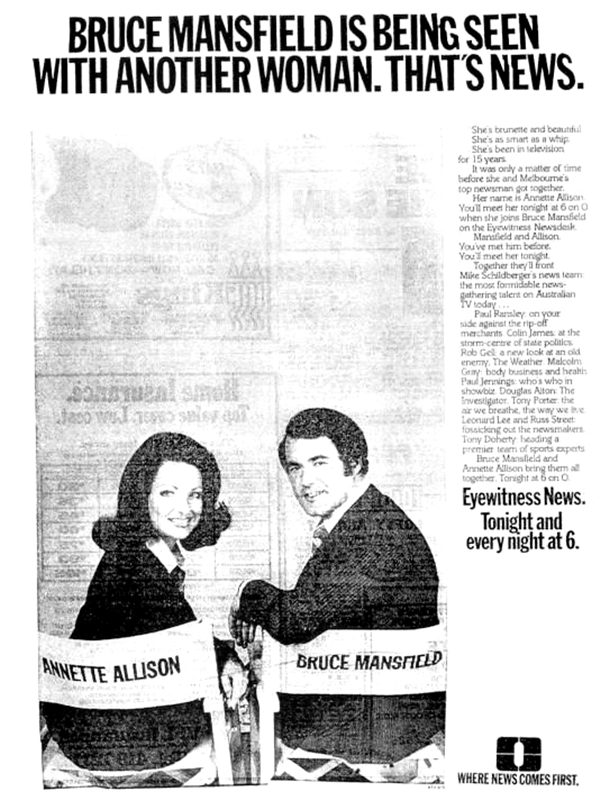 The news line-up was short-lived, as both Allison and Mansfield were dismissed from their newsreading roles at the end of the year. Allison was also appointed to co-host the mid-morning show Everyday, due to commence later in February. Everyday, later to become Good Morning Melbourne, continued through to the end of 1988. Mansfield continued in various other roles at the channel through much of the 1980s.